After being let go by Crystal Palace in the summer Lee Chung-yong has finally found a new club. As the player insisted with many K League sides after his signature the 30-year-old will stay in Europe. The Korean as now moved to Germany to join Bundesliga 2 side VfL Bochum. He's signed on for a year but this will be extended if he is successful. He will then be joining Lee Jae-Sung in the league as the young Korean signed for Holstein Kiel earlier in the summer from Jeonbuk Motors. This will now be the first time for Lee playing outside of England in nine years as he signed for Bolton in 2009, he then went on to play for Crystal Palace in the Premier League in 2015, before being released at the end of his contract in 2018. The Korean international was keen to stay with Crystal Palace but with the team's relegation to The Championship, a dip in the rankings for South Korea meant that the player would not be granted a work permit for the English second division. The English side lost seem to be Bochum gain, that is at least the view of Sebastian Schindzielorz the clubs sporting director. As the director told the website he had been after the player for a long time and said: “I am very happy that we could sign a player of his quality for VfL”. 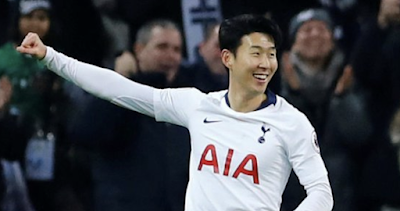 He then went on to add, “The South Korea team's drop down the FIFA rankings has given him a new situation and he was not granted a work permit for the English Championship, where he could have played this season for Bolton Wanderers. “As a result, he came onto the transfer market in the short term and we saw our chance”, he added. The player will now wear the number 11 shirt and is likely to make his debut on the 16th September at the clubs home ground against Ingolstadt.